One of the most incredible natural wonders on Earth, the Grand Canyon in all its glory needs to be seen to be believed; it will certainly leave you feeling small such is its colossal size. Carved out of the rock over millions of years by the Colorado River, the canyon cuts through the desolate landscape. 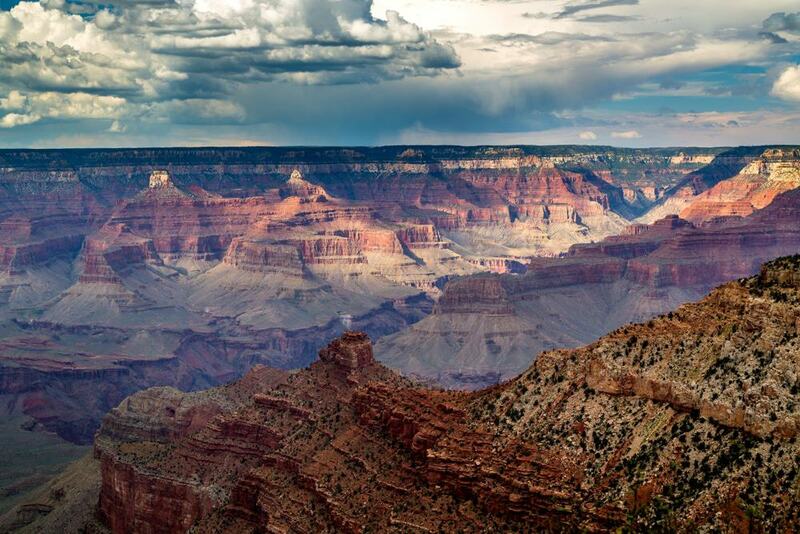 The scenery on show is so stunning that it is now protected and is part of the Grand Canyon National Park. 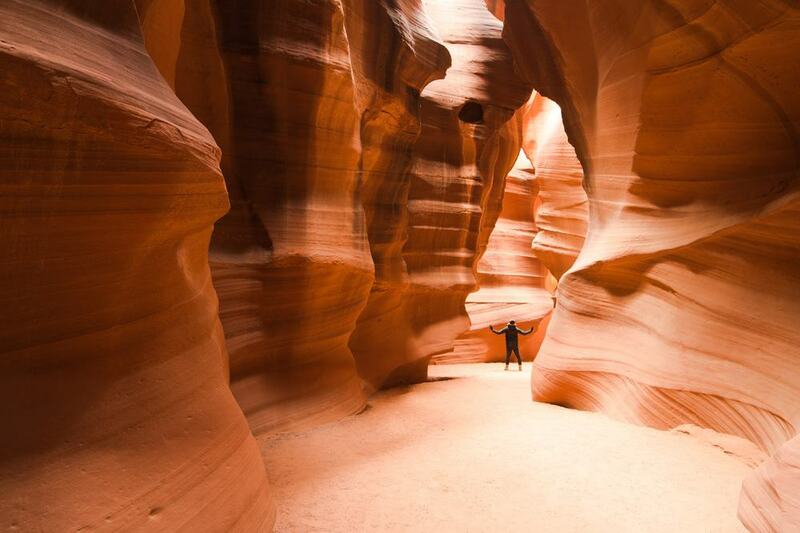 Located in Arizona, the canyon is simply a must-see if you are in the area. Apart from the breathtaking panoramas and landscapes, there are a number of historic sites for you to visit in addition to the wealth of outdoor activities on offer. With loads of tour operators offering package deals to see this amazing site, here are some of the best ones out there so you can see what is available to you. 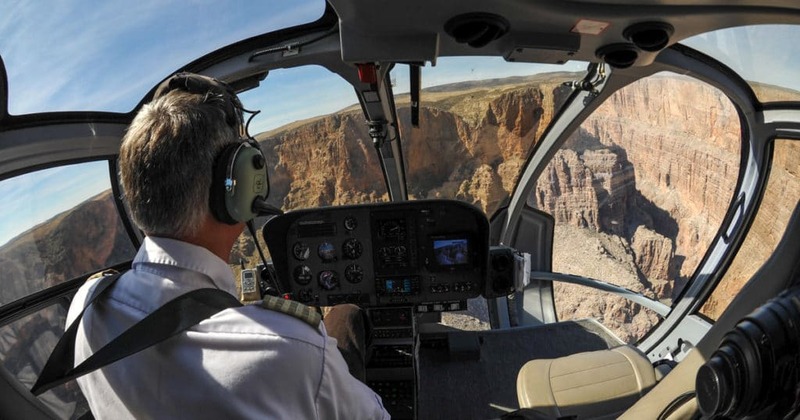 A widely popular tour, this helicopter ride will leave you awe-struck at the amazing scenery all around you as you fly between the canyon walls. As well as passing above the main sights in the canyon, you also coast above the Hoover Dam, Lake Mead, and the Black Canyon, with each sight appearing more majestic than the last. 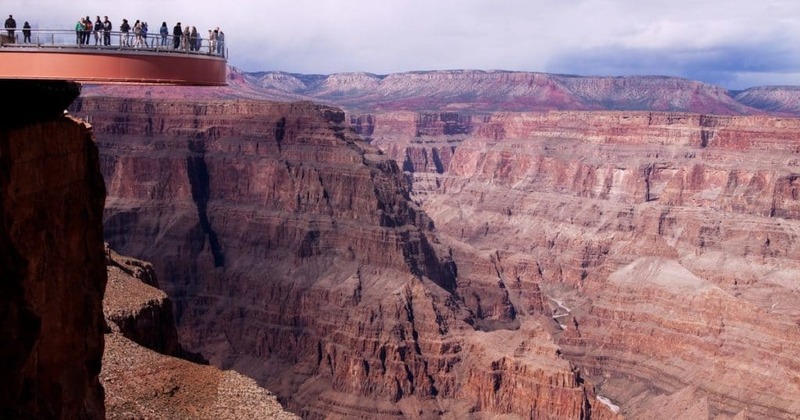 This fantastic tour also includes a stop at the bottom of the Grand Canyon, where you can gaze up at the walls that tower above you. An unforgettable experience, a helicopter ride is the perfect way to see as much of this natural wonder as possible. Starting off in Las Vegas, this trip will take you through the desert until you reach the South Rim of the Grand Canyon – one of the main spots that people head to for the awe-inspiring views that it has to offer. Included in the combo deal is a visit to the top of the huge Hoover Dam and a stop off at the atmospheric town of Seligman, which has some wonderful old buildings dating back to the 40’s and 50’s. 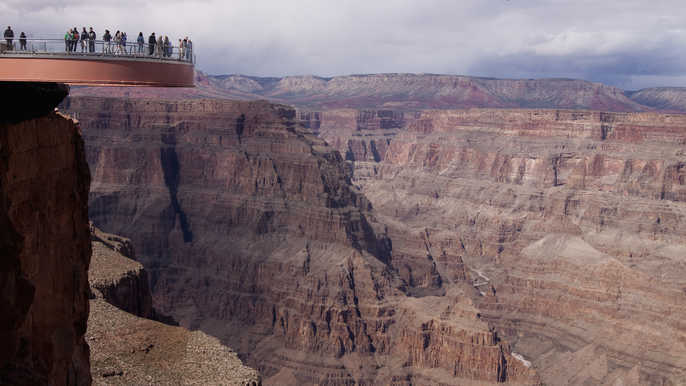 Walking along a trail that hugs the rim of the Grand Canyon is an amazing experience, and the Visitor’s Center will certainly teach you a lot about the history, geography, and culture of this spectacular part of the States. 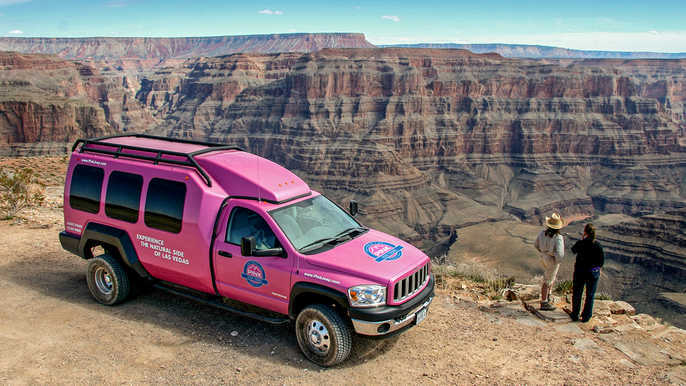 After having been picked up in Las Vegas, it’s time to sit back, relax, and watch the amazing scenery go past on this brilliant bus tour that will take you to some of the must-see spots around the Grand Canyon. The views from Eagle Point and Guano Point are mesmerizing, and the vista from atop of Hoover Dam isn’t bad either. Accompanied by a guide, you will learn a lot about the Grand Canyon and you’ll also have the chance to check out some of the amazing old dwellings that American Indians lived in centuries ago. This forty-five-minute helicopter ride will entice and astound you with all of the breathtaking sights that you pass over during the trip. 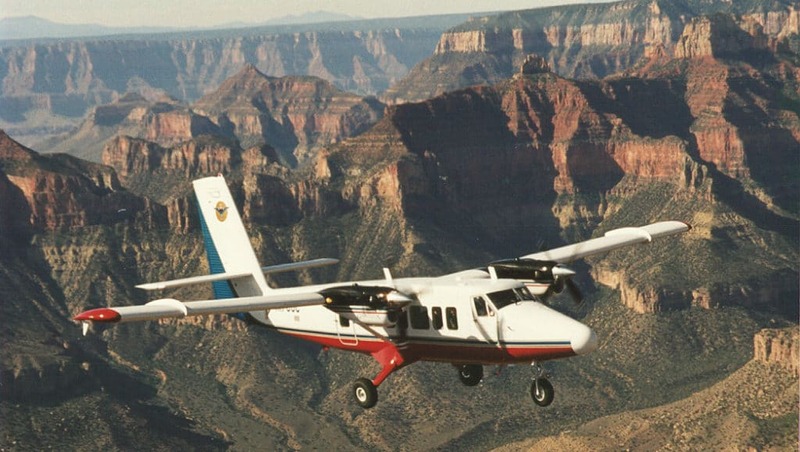 Starting at the South Rim, you’ll soar over the Kaibab National Forest, the Painted Desert and the Marble Canyon amongst others, and you won’t be able to tear your eyes away from all of the stunning scenery below you. Amongst all the highlights, flying through the Dragon Corridor with the walls of the canyon on either side of you is arguably the most impressive and this tour comes highly recommended. If you’re looking to explore all the incredible sights that the American West has to offer, this three-day tour is the perfect option for you. The landscapes on show are jaw-droppingly beautiful and the slot canyon at Antelope Canyon is just one of the many attractions that you have to check out. With the awe-inspiring Monument Valley and the Zion and Bryce National Parks also included in the deal, there is no chance that you’re leaving disappointed with all of the fantastic sights that you’ve seen. 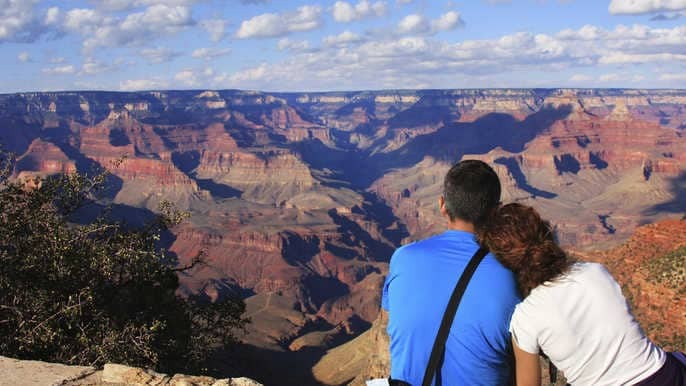 This full-day excursion is a great way to see the Grand Canyon and its surrounding sights and there is an amazing array of things for you to see and do over the course of the day. Driving through the Joshua Tree Forest is a fabulous experience and the spectacular panoramas from the top of Eagle and Guano points will provide lasting memories. With a stop off at the Hoover Dam also included, alongside a visit to a Hualapai ranch where you can play cowboy games or watch a dramatic shootout, this tour is great value for all that it packs into the schedule. 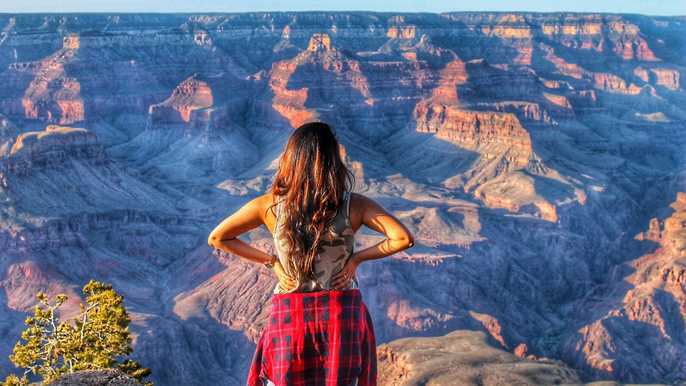 A very popular tour, you’ll be astounded at the beauty of the Grand Canyon and the majesty of the scenery on show, with the views from Eagle and Guano Point being among the many highlights. Meeting Hualapi Indians and learning about their rich cultural heritage and their connection to the canyon is fascinating; you can also watch a Wild West gunfight be performed right in front of you. 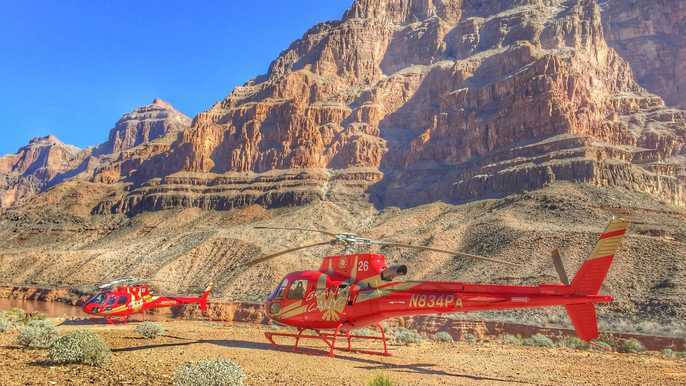 After that, you can select from one of the options available to you and either take a helicopter ride over the canyon, float upon the Colorado River, or take to the Skywalk for more incredible vistas. With visits to three simply mesmerizing national parks included in this trip, nature lovers will absolutely love all that this tour entails. In addition to the beauty on show, you’ll also stop by a Navajo reservation to learn about their culture, as well as take a cruise on the wonderful Lake Powell. With so much packed into three days, you’ll come away with a greater appreciation for the history, culture, and scenery of this part of America. Starting off from either Sedona or Flagstaff, you will take the historic Grand Canyon Railroad until you reach the national park itself. Here, you can enjoy the sweeping scenery before you and marvel at the wonderful wilderness on show. Perfect for train aficionados and nature lovers alike, this tour will delight with all that it has to offer. Setting off from Las Vegas, you’ll soar over some of the most incredible scenery on Earth, with the Grand Canyon stretching away into the distance below you. 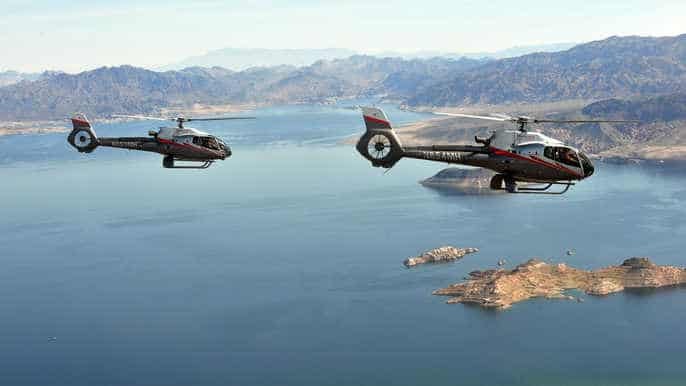 One of the best ways to see as much of the area as possible is from the skies; you’ll also pass above the famous Hoover Dam and the beautiful Lake Mead which glistens down below. While the views are breathtaking in themselves, the narration will help you gain a greater appreciation for the history and geology of the area. A very well organized tour that is consequently a popular option for many visitors to the Grand Canyon, this trip will take you to the South Rim – one of the primary spots from which to gaze out over the canyon floor far below you. Walking along the trail that hugs the rim is an awe-inspiring experience and a visit to the Grand Canyon Village is equally captivating, while the tour narration will educate and entertain you in equal measure. If you’re an adrenaline junkie, this may just be the perfect tour for you. Jumping out of a plane with an instructor strapped to you is a simply unforgettable experience and seeing the Grand Canyon in all of its glory below you is enough to make your heart skip a beat. With photo and video evidence of your dive, you can relive the experience time and time again, although it is not as if you will ever forget the incredible scenes of the canyon below you. After being picked up from Las Vegas, simply sit back, relax and listen to the tour narration that will teach you all there is to know about the Grand Canyon. Stepping out for the first time to see this natural wonder before you is an indescribable feeling; the heart soars to see the sheer size and scale of it, dwarfing everything that the eye can see. Stopping off at the National Geographic Visitor’s Center is also an interesting part of the trip, although it is surely the stunning panoramas that are the highlight of the tour. This small and intimate group tour will take you to the Grand Canyon West Rim, as well as to a number of amazing sights that lie nearby – all while being treated like a VIP. Driving through the Joshua Tree Forest is a magical experience and a visit to the top of the Hoover Dam will leave you astounded. 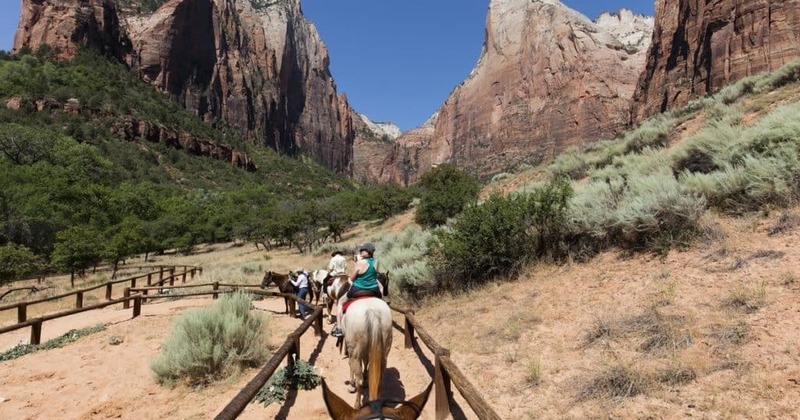 In addition to the spectacular panoramas of the Canyon itself, this luxury tour also sees you visit an Indian village and watch a Wild West show. 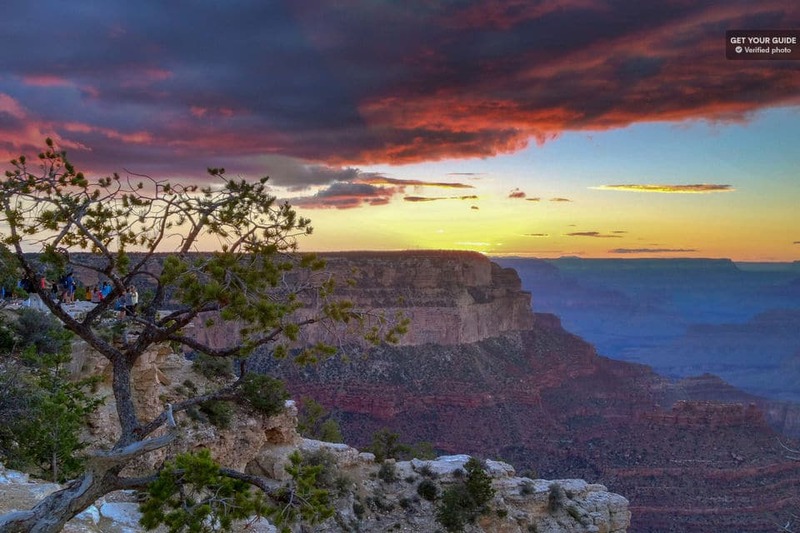 If sunsets are your thing, this overnight tour is the package that you’ve been looking for; the sun going down over the Grand Canyon needs to be seen to be believed such is the beauty on show. Riding along Route 66 is also a memorable experience. Over the two days, you’ll get some great hiking in the midst of the wilderness all around you. With a visit to the Hoover Dam also included and a stop off in the Grand Canyon town of Tusayan, this tour has everything you could want and certainly won’t disappoint.